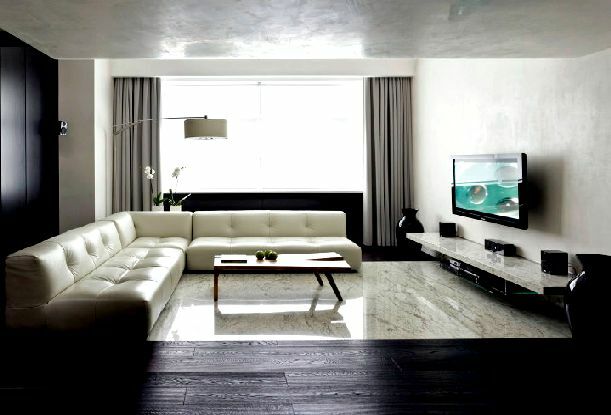 Do You have a minimalist living room? Do you want your room to have a broader impression? Impression of a large room can be created through the combination like the illusion of color selection, lighting and right selection furniture. If you want to give the impression of vast space, this is a challenge for you to be creative. You do not need to worry with your minimalist room, the illusion can be created by using appropriate color, mirror, appropriate lighting and furniture which have two functions. The use of neutral colors on the walls and ceiling are an easy way to give a broad impression of the room without spending much money. The use of a brighter color for the ceiling than the house walls. The use of monochrome color theme is advisable to give this impression. You can try different kinds of color combination and not just focus on the use of neutral colors, but you can choose the use of cool colors combined with warm colors. In the color selection should be tailored to you. Do not be forced to use colors you dislike. You can apply the colors you like into any room in your home. In the selection of paint, it is advisable to use a glossy paint for the room in order to looks brighter due to effect of reflected sunlight. 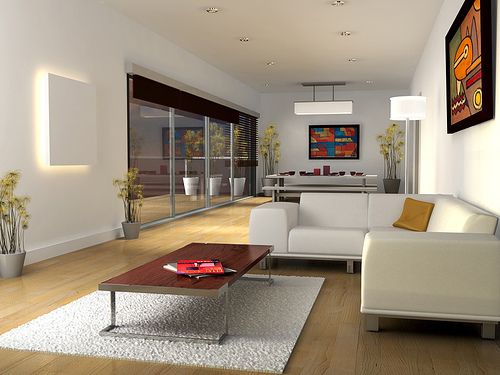 Provides many of windows in your home will also be able to give the impression large room. Not only color, but also to take into account the selection of accessories. In the selection of curtains, try using a thin curtain so that sunlight can get into your room. Placement of a large mirror in the corner can also be helpful in reflecting the sun’s natural light into the room and help give a broader impression of the room. For the selection of furniture, choose furniture that is not conventional such as sofa,chairs selection. If your room is large enough, you can put quite large seats.